Win McNamee/Getty ImagesUS Secretary of Commerce Wilbur Ross. 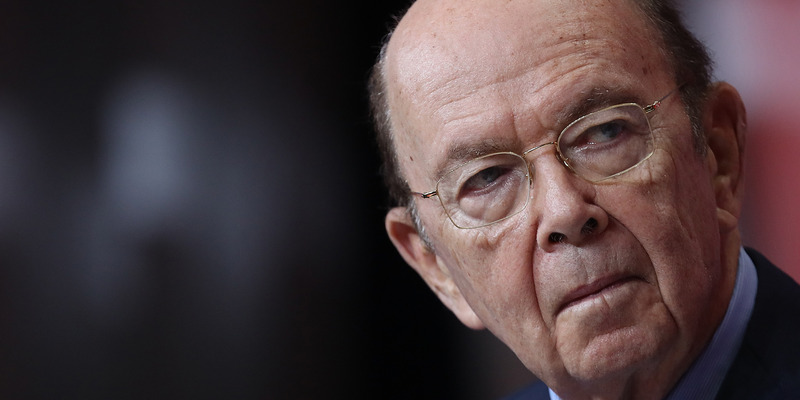 US Secretary of Commerce Wilbur Ross has been accused of swindling associates out of more than $US120 million, according to a new bombshell report from Forbes. The report says Forbes spoke with 21 people who know Ross and found claims that he wrongly took millions of dollars for himself on multiple occasions. The publication estimated that if all the allegations were true, then Ross had bilked associates out of more than $US120 million. That’s not entirely true, Forbes said, considering the US Securities and Exchange Commission fined his firm $US2.3 million in 2016. Here’s a breakdown of all the allegations outlined in the Forbes report, presented in chronological order. Adding together all of the bolded numbers, you arrive at roughly $US120 million. 2005 – A former vice chairman of the firm WL Ross filed a $US20 million lawsuit against Ross, alleging that Ross tried to cut him out of his share. They reached a confidential settlement, which reportedly cost $US10 million. 2014-2015 – Invesco, the parent company of WL Ross, reported $US43 million in regulatory and reimbursement expenses, which four former employees say were tied to issues that occurred under Ross. July 2015 – Ross’ former No. 2 filed a $US4 million lawsuit, alleging that Ross stole his interests. They recently reached a confidential settlement. August 2016 – As mentioned above, WL Ross agreed to pay the SEC $US2.3 million after allegations that the firm defrauded and misled investors. The company settled without admitting wrongdoing. August 2016 – When the SEC announced its fine, it also revealed that the WL Ross paid back $US11.9 million it was accused of taking from investors, including interest, when Ross was running the firm. December 2016 – A former WL Ross employee sued the company, alleging that Ross “looted” his accounts to the tune of $US3.6 million.